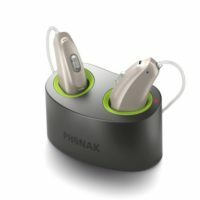 Phonak Bolero B At Hearing Choices - Get Information, Reviews + Compare Prices! The Phonak Bolero B is a behind the ear hearing aid that has been designed with innovative technology, creating exquisite sound quality powered by Phonak’s AutoSense OS platform. AutoSense OS is designed with various programs and features that work hand in hand to accurately identify their users hearing environment. By boosting both sound quality and speech quality, this outstanding platform can deliver exceptional hearing experience no matter the listening environment. With the Bolero B hearing aid, there is a 20% increase in understanding speech, a result of an inbuilt automatic selection feature that selects the optimal listening setting for whatever situation a user is faced with. Understanding speech in noise has also improved by 60% with the Bolero B with the use of their zoom function. This incredible feature has the ability to zoom into a single voice in some of the noisiest environments. Phonak has also achieved a 10% improvement in hearing softer voices whilst communicating, making all conversations much more natural in any situation. 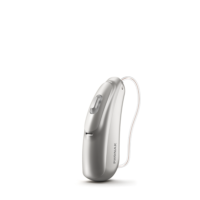 When in noisy environments, the Bolero B utilises the Phonak Binaural VoiceStream technology, a spectacular feature that has been designed to link hearing aids (when two are in use), allowing users to benefit from understanding speech in both ears, a feature incredibly useful in noisy situations. The Bolero B range is available in 4 models, across multiple technology levels, catering for any individual and there hearing needs. The Bolero B-M is catered to those with mild to moderate hearing losses, although for those with a more severe or profound hearing loss, the Bolero B-P or Bolero B-SP respectively, may be better suited. 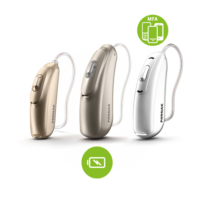 Each of these hearing aids can be powered using a 13-zinc air battery, however Phonak has gone beyond and created a specialised Bolero B aid that’s powered by a rechargeable lithium battery. This range is available across 4 different technology levels, from the most basic level B30 to the top of the range performance level, the B90. 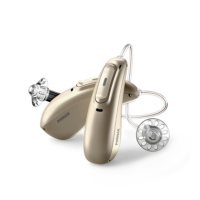 The B30 and B50 performance levels are more suited for individuals who live a simpler lifestyle, with the B70 designed with more programs and features and lastly, the B90, the premium performance level for those who lived a faster paced lifestyle and are exposed to a larger range of hearing environments. Each of these technological levels has been integrated with base features such as automatic programming for calm situations, speech and noise, and comfort in noise. Each of these base programs allows the hearing aid to detect and adjust the hearing needs of their client in particular situations. 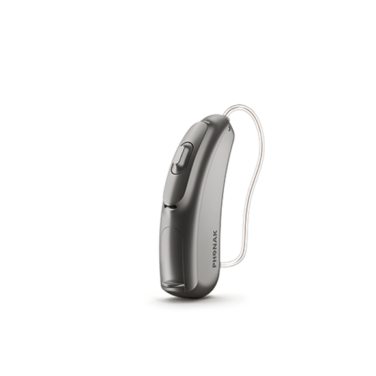 Calm Situation programming provides optimal speech hearing in quiet situations when clients are in one to one conversation, however in contrast, the hearing aid can also detect speech in noise, reducing any noise from behind, allowing for clearer speech recognition. Whilst effortless communication is important to all clients, it isn’t the foundation of all hearing, with this in mind, Phonak has created their comfort in noise program. This program allows their users to comfortably listen in loud environments, automatically decreasing amplification even when no speech is detected, all for the comfort of their users. Other features that have been integrated across all performance levels are their feedback mechanisms, as well as tinnitus programming for those who suffer from tinnitus. For those who seek more than just the essentials, their performance levels B70 and B90 are integrated with one or four extra automatic programs, respectively in comparison to the baseline performance level. Both the B70 and B90 have also been designed with the option of adding a variety of extra additional programs, including speech in 360o, allowing for optimal localisation of speech in every setting. Whilst the Bolero B has been designed with the finest technology, producing some of the most natural sound quality, Phonak has also created a series of wireless accessories for ease of use. Phonak offers a range of accessories that can aid in better hearing and understanding speech while on the phone, listening to music and watching TV. There are also accessories available that can help with understanding speech in noisy situations or situations of increased distance between speaker and listener. A range of these accessories are compatible with the Bolero B hearing aid range, allowing for users to remain focused on daily tasks, rather than on their hearing.